Finding the best state of wellbeing in your life includes improving the connection between your mind and body for better health. Exercise, healthy eating and living well certainly improve the body, but the mind needs mediation and focus in order for there to be harmony. Ayurveda is the ancient practice that helps bridge the gap between the mind and body so that a person can life a better, more satisfying life. The techniques will help a person focus their energy and thoughts on improving their own wellbeing while creating more harmony and happiness as well. The exploration in the connection of the mind and body were first demonstrated in India thousands of years ago where Ayurveda was first born. Today, this practice continues to be one of the most popular and most sophisticated forms that links the mind and the body. This is not just a system that helps improve the body from illness, but it offers plenty of wisdom that keeps people vibrant and alive so they can reach their full potential. Bringing about a freedom from illness is one of the gifts for living well and this ancient art form is one of the means that allows this to occur. The actual process of balancing the mind and the body is not a rigorous or extensive one and isn’t even all that complicated. What it does require is the proper nourishment of the body while using meditation to help quite the mind and expand awareness. Meditation is the means by which the mind and body can be balanced. The state of restfulness that is achieved will help slow the heart rate, calm the mind and more importantly reduce the stress hormones that are being produced. In addition, positive neurotransmitters such as dopamine, serotonin and endorphins are being produced in greater numbers which brings about more peace of mind and a much better state of wellbeing. 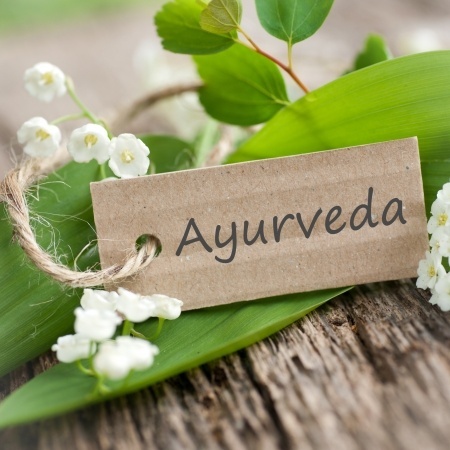 How does Ayurveda Really Work? In order to practice this form of connecting the mind and the body, there are three principles or “doshas” that need to be emphasized. Pitta Dosha: This controls the metabolic systems of the body, including the absorption of nutrients, digestion and even the temperature of the body itself. When in balance, there is more contentment and greater intelligence while out of balance means more anger to the point of causing ulcers. Kapha Dosha: The energy that controls the growth of the body, supplying hydration that maintains the immune system and moisturizes the skin. When in balance, there can be expressions of forgiveness and love while out of balance means feeling envy and insecurity. Vata Dosha: This is the energy that controls the functions of the body, which includes the circulation of blood, blinking, breathing and the heartbeat. When in-balance they help form a state of creativity and vitality while being out of balance can emphasize anxiety and even fear. You will also need to understand your unique type of mind-body connection as well. The practice of Ayurveda is individualized to the needs of each person, so you will have to get in touch with who you are so that you can best benefit from the practice. There are certainly different types of mind-body connections and finding the right one will ensure balance in your life. Eat Healthy: Eating healthy foods must be encouraged as they provide the nutrition for your life. You’ll want to eat a wide variety of healthy foods that include a balanced diet of having all the tastes of Ayurveda present which means the salty, sweet, sour, bitter, pungent and astringent in your meals. This means that all the food groups are present and you will actually eat according to your caloric needs and reduce unwanted snacking. Plus, eating plenty of fruits and vegetables will improve your overall health and immune system as well. Sleep: Our bodies repair and become rejuvenated during sleep. This is why getting enough restful sleep is important. Most people need between six to eight hours of sleep every night. The precise amount is really what works for your mind and body. Restful sleep means that your body is free of any unwanted chemicals so you can get up and feel refreshed in the morning. Better Digestive Health: The proper digestion of food is a vital part of the Ayurveda plan as it means that you are absorbing all of the nutrients while disposing of all the waste materials as well. Proper digestion means better clarity of perception and greater physical strength and well being. However, if the digestive system is not up to speed, then it can lead to a greater buildup of toxic residue which can affect our judgment. Be One with Nature: There is a precise meaning in Ayurveda to living in tune with nature that means when in the proper state all you will need is that which provides for your health and wellbeing. Since you were created by nature, your needs will flow from them so that being in tune with your mind and body will mean that you will desire what nourishes you. Being out of tune will mean craving the things that are not good for you, such as junk food, passing up on needed sleep and missing out on exercise as well. How you treat your body and mind is important as being one with nature will help guide you. You can help along in the process by enjoying gifts for living well and include proper meditation for the mind along with eating healthy foods and exercising for the body. The proper state of Ayurveda can be reached by anyone who takes a little time out of their day unite the mind and body.